The victim died died Sunday night from multiple gunshot wounds in the parking lot of a Des Moines shopping center. His alleged killer, a 22-year-old Renton man, was arrested five days later. A 22-year-old Renton man was charged Friday with second-degree murder, accused of fatally shooting an unarmed man in the parking lot of a Des Moines shopping center last week, according to King County prosecutors. It’s unclear whether suspect, Yourhighness Bolar, knew his alleged victim, who is identified in charging papers as Andrew S. Carter, 31. The charges don’t indicate a possible motive for the shooting. 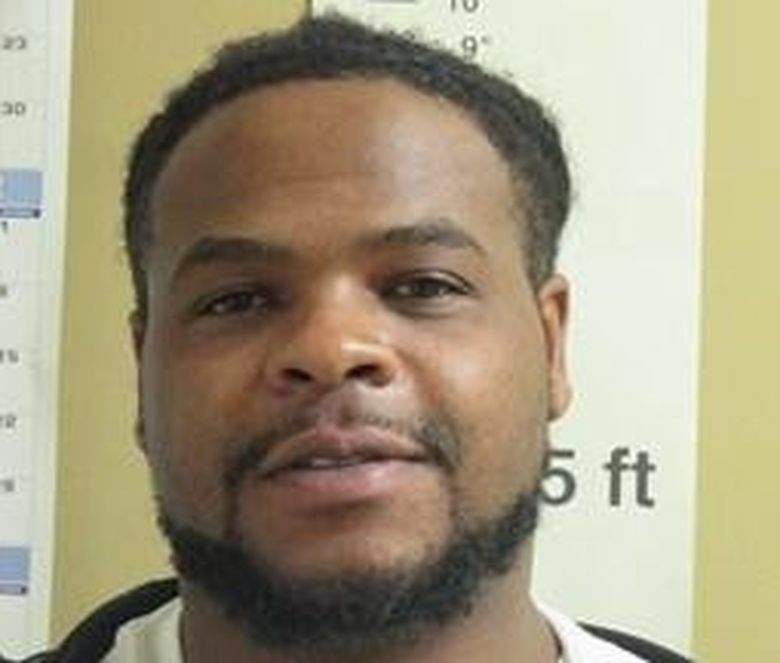 Bolar, who was released from prison in March on a firearms charge, was under the supervision of the state Department of Corrections (DOC) at the time of the shooting, the charges say. He was also charged Friday with first-degree unlawful possession of a firearm and remains jailed in lieu of $1 million bail, jail and court records show. Just after 9 p.m. on Oct. 28, Des Moines police responded to a report of a shooting at a shopping center at 27035 Pacific Highway South and found Carter’s body in the parking lot between a Bartell’s drug store and a Planet Fitness gym, the charges say. Carter, who was unarmed, had been shot twice and a 9 mm shell casing was found near his body, according to the charges. A car registered to Carter’s father was found in the parking lot outside Planet Fitness with the engine and headlights still on, and a witness reported hearing gunshots and seeing a light brown sedan drive away with its headlights off, the charges say. Three days later, police received a tip from someone who had seen media reports describing the suspect vehicle. That person identified Bolar as driving a gold Toyota Camry with a missing right front hubcap and said Bolar was known to carry a 9 mm handgun, say charging papers. Video-surveillance footage from the shopping center showed the gold sedan arrive about 40 minutes before the shooting and the driver, who was later identified as Bolar, went inside a Safeway grocery store before returning to his vehicle, say charging papers. The driver sat inside his car for 23 minutes, then backed out of a parking stall and circled the parking lot; around that time, Carter arrived in his vehicle and approached the sedan on foot, the charges say. “The suspect vehicle stops, and victim Andrew Carter approached the front of the suspect vehicle, then approached the driver’s side window. Almost immediately thereafter victim Andrew Carter is shot and falls to the ground,” the charges say. Bolar was arrested Tuesday when he showed up for an appointment with his community-corrections officer at the DOC office in Renton, say the charges. Police say Bolar told detectives he returned to Renton after the shooting, arranged to have the gun thrown in the ocean and sold his car to someone in Oregon, charging papers say.